Finding the perfect bit of cake decorating kit can not only give fab results and a professional finish but also save us Cake decorators precious time. So when I received an order for some Frozen Cupcakes (yes Frozen) I wanted to add a little birthday message to the cupcake toppers and was planning on using some impressits Cupcake and cake stamps that I had but unfortunately I’ve lost a couple of the critical letters (don’t you hate it when that happens) so my contingency was to either pipe the message or paint it on. The impressits are pretty straight forward to use and if you want to check them out here is the link, they are available from Purple Cupcakes. But before I got my bake on with baking the order I decided to take an overdue trip to my closest Lakeland store as conversations on Twitter with other bakers made it sound like a must do trip for bakers, so today the weather was nice, sun was shining so I went for a short drive to Droitwich. While on my visit I purchased a few items and one of those items was the message stamps set suitable for use with cookies or with Sugarpaste. What I like about this set is that they are of a decent size, come in upper case and are in a nice clean font. But I especially like the way they click together to form your words (you have to just remember to assemble backwards) and clicking the letters together they form a nice grippable ridge at the back so you can totally control how much pressure you are applying to your sugarpaste or cookie dough. They cost £6.99 and You get a 96 Piece set, with all of the alphabet x2, numbers and punctuation and a little bag to store them in, here is the link http://www.lakeland.co.uk/18978/Message-Stamp-Set They are a simple but effective design. So for me a they are a great time saver, good value for money and a fab edition to my cake decoration kit, think I’m going to ❤️them. Running a small business sometimes you can’t see the wood through the trees, and more often than not this army of one man bands do everything from marketing, sales, creating our products, or delivering our services so it can be tricky to take a step back and assess. So occasionally i want to chat about ideas I am thinking about for the business and like to bounce these ideas around abit. Any ideas will usually get its first airing on a Sunday with our weekly family ritual of dinner and catch up,but we are usually so boisterous and busy talking about what kind of week we’ve had it doesn’t really matter. Then it’s friends, that is why I like to meet up/catch up with some of my friends who also have small businesses. We are specialist in different industry’s but that doesn’t mean we cannot learn from each other and share ideas, tips, etc….. In one of my past post I have mentioned that I have been on numerous workshops with http://www.rickiejosen.com who delivers 1:1s and business workshops for small business, she is very inspiring and her workshops are fun, interesting and affordable. But as well as this I wanted to get a mentor as I felt it was important for me to be able to step away from my business be objective and talk through ideas with someone else who isn’t biased towards me. So I found a mentor through Mentors Me Http://www.mentorsme.co.uk/organisations/ioee back in early 2014. After my initial request I had a chat with a lady called Christine Dryden from mentors me who then proceeded to find me a mentor. My mentor is from an area totally unrelated to me, actually he is from the finance and banking sector, absolutely nothing to do with cakes so there is no conversation about straight edges with ganache cakes or where to bulk buy boxes, it’s purely about my biz margins, marketing etc….. and you might think shouldn’t it be the opposite but in fact it’s perfect as he doesn’t know anything about me or my business. 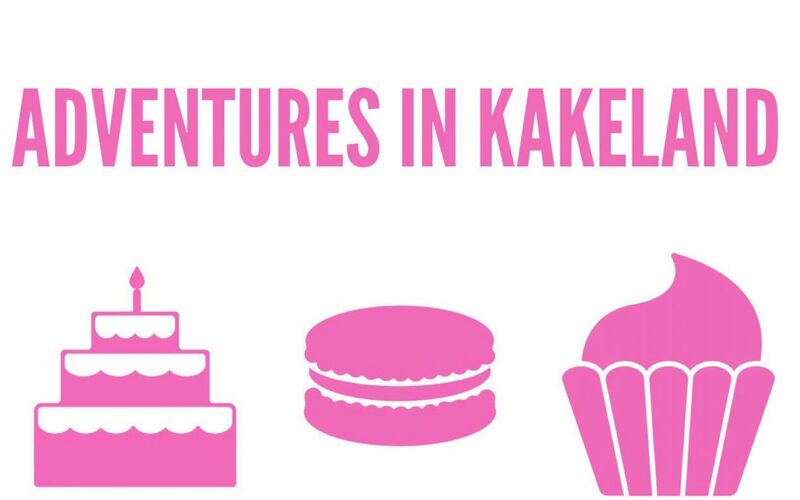 So a typical meeting usually last about an hour or slightly more and involves me discussing all things Kake and Cupkakery, things that have gone well and things that have not gone so well, ideas I have implemented. New ideas I have, which direction I’m now heading in, the conversation goes everywhere. My mentors input is that he bounces things back to me, makes me think and consider options as well as look at other sectors for ideas. I really do enjoy the meetings and one thing I have realised is how the business evolves by itself as when we recap from previous meetings it’s clear that other opportunities have been explored which makes me realise the business certainly hasn’t gone in a straight line at all. So who do you go to to bounce ideas off???? Have you ever tried Chocolate concrete? Aka Chocolate Crunch? you will answer either Yes or No. Well I think if your of a certain age you might remember this treat of a pudd that was served up at school accompanied with pink custard or green peppermint Custard., and I must admit back in the day the dinner ladies/Cooks were legendary,the meals they produced were delishhhhh and even better was that my piece of cake only cost me 5p,what a bargain (think I’m really showing my age). I’m not really sure if it is a Brummie thing or Uk wide but at times when I’ve asked people who didn’t grow up in Birmingham about chocolate concrete they have looked at me blankly as if to say ” what are you on about” . So the best way to describe it is that it is similar to Chocolate Shortbread that you need a pneumatic drill to break. It can break a spoon, take an eye out if it shoots across the room (it actually never did, slight exaggeration) And the recipe was top secret, nobody knew how to make, I always imagined the recipe been kept in a safe and dinner ladies across brum being sworn never to reveal the secret of the Chocolate Concrete. So I know your now intrigued right……. If you want to give this a try here is a little tutorial on how to make this chocolatey treat, it’s super easy and even a baking novice will find it easy and since it’s nearly Easter I’ve pimped it up with some Cadburys Creme eggs Which will give a slightly chewer texture but omit the cream eggs if you like. So have fun baking this Easter and feel free to share your pics and tell me what was your fave pudd at school?